The island Kinmen belongs to the Republic of China, Taiwan and is just 2 kms away from the coast of The People's Republic of China. From 1949 even until the midst of the 70th the troops of the People's Republic of China repeatedly bombed Kinmen. During those years both nationalist and communist China were engaged in a psychological warfare with tremendous loudspeakers. 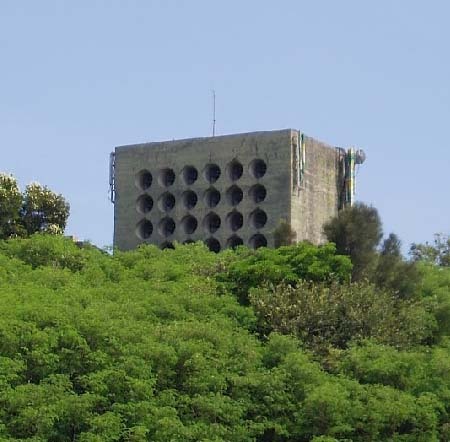 On the island of Kinmen exists the rest of a wall of 6 x 8 big loudspeakers which transmitted propaganda to the opposing coast. A Taiwan TV News Report on YouTube gives you an idea how the facilities looked like and how it worked.